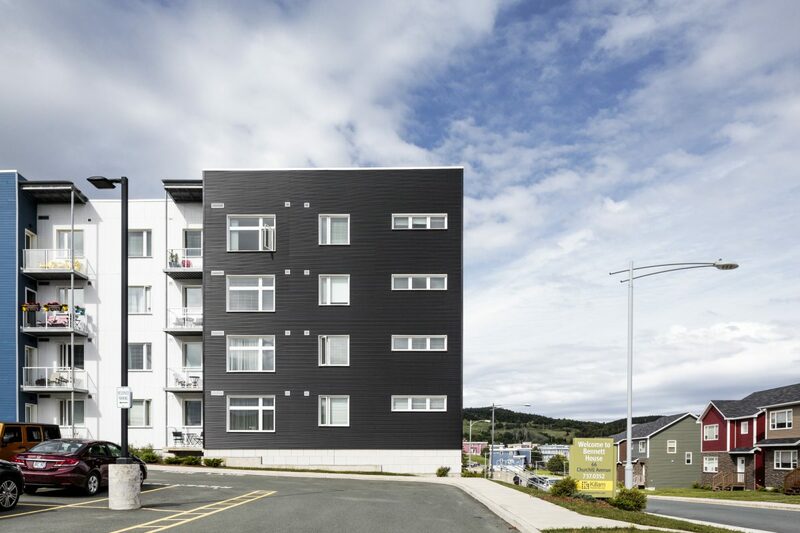 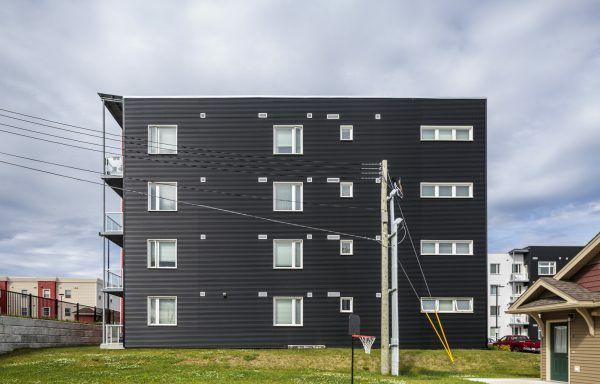 This 71-unit, 9 987-square-meter, four-storey apartment building offers a mixture of one and two bedroom units with a common area on each floor. It has underground parking for 52 cars and an additional 25 spaces in an external parking lot. 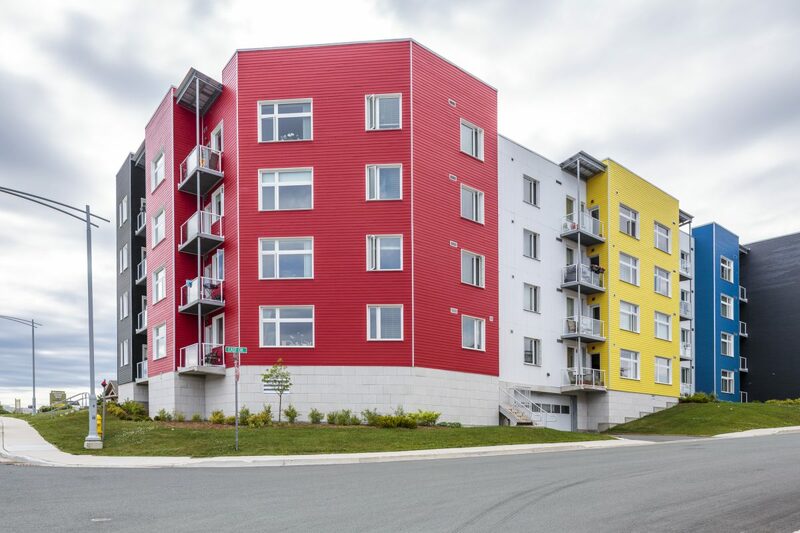 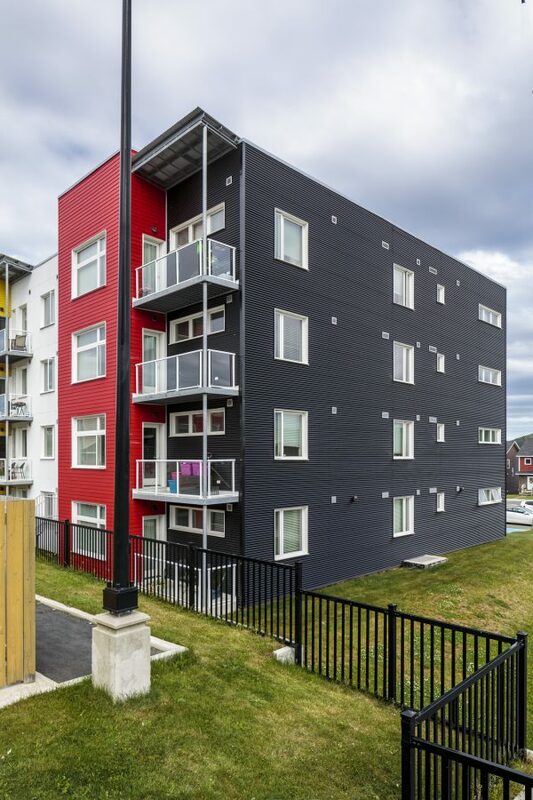 This project was Phase 1 of a two-phase development in the Pleasantville area of St. John’s.